James Harris Gallery is pleased to present “Surfacing”, a group exhibition curated by New York based artist Cameron Martin. 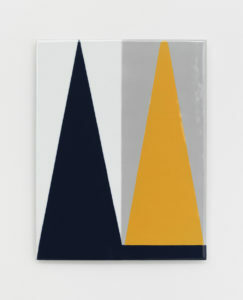 For this show, Martin has chosen work by Jessica Dickinson, Xylor Jane, Miranda Lichtenstein, Pam Lins, Sara Magenheimer, Ulrike Müller, Monique Mouton, Amy Sillman, and Molly Zuckerman-Hartung. 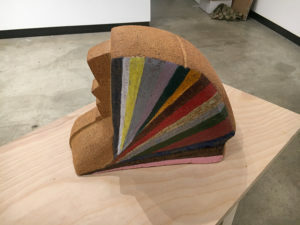 Martin’s theme “Surfacing” provides a conceptual framework for the exhibition that addresses a range of artist practices including painting, sculpture, mixed media, photography, and video. The exhibition Surfacing is structured around different definitions of the word “surface”. The premise for the show came from thinking about how in an art context surface as a noun often connotes something textured, haptic and possibly containing a rich or enigmatic quality, but as an adjective it is just the opposite- superficial, glossy, unfeeling. Surface as a verb, on the other hand, indicates something being revealed that had previously been hidden or repressed, a condition art often aims to facilitate. These divergent definitions have been in the back of my mind for a while now, and when the opportunity to organize this show arose they gave me a template to start drawing affinities and distinctions between certain artists whose work I find compelling. 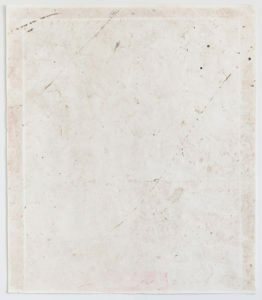 Jessica Dickinson’s drawing, Are: Still, is entirely dependent on the surfaces that allowed for it to come into being. 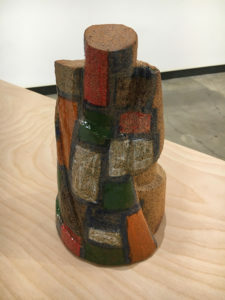 With no direct gesture made by the artist, the work was generated by an aleatory frottage technique in which she walked, exercised and slept on the piece over a period of several months, producing a nuanced temporal index and engaging surface as edifice. Taking a different tact, from a distance Ulrike Müller’s enamel on metal painting, Dokebi, presents a seemingly unyielding sheen that might function as an emblem of modernist remove, except that on further inspection its apparent rigidity is belied by the human quality of its soft edges, bodily associations and the clear touch of the artist. 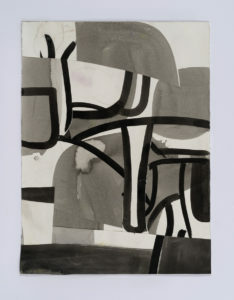 Amy Sillman’s Rome Drawing #11 works a related interplay between graphic space and tactility, drawing out dynamic, fragmentary evocations of the corporeal that never entirely reach fruition, implying that what comes to the surface is always partial. A related phenomenon is pointed to in Pam Lins’ sculptures, which present themselves as distinct objects depending on the vantage point from which they are encountered, facilitating the likelihood of a reveal but also illuminating an intersection of surprise and derailed expectation. 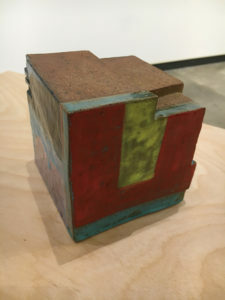 While Monique Mouton’s paintings on plywood engage an illusion of surface, coyly toggling between slack, poetic and urbane sensibility, through repetition and gridded density Xylor Jane’s Swaggerdam generates an optical topography in which surface and depth fluctuate depending on proximity. 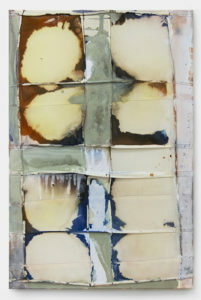 Alternately, within the limp and imperfect grid of Molly Zuckerman-Hartung’s Dirty Window Number 3, areas of bleached and stained canvas conjure potential surface rupture. 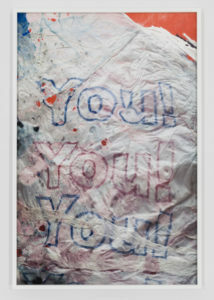 Her work might find sympathy with the handsome grittiness of Miranda Lichtenstein’s photograph, You!, which renders the asperous surface of molten plastic deli bags as a potential stand-in for the current promulgation of the individual as the center of the world, inseparably embedded in the non-biodegradable, petroleum-based and ultra-disposable product of the everyday. Rounding things out, Sara Magenheimer’s video, Nothing Comes From Talking But Sound, works with a surface that is resistant to both the material she applies to it and the language capture she ostensibly aims to generate, humorously frustrating her purported semiotic conceit. 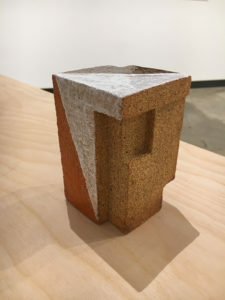 Jessica Dickinson’s work is included in the public collections of The Solomon R. Guggenheim Museum, New York, The Zabludowicz Collection, London, and The Rachofsky Collection, Dallas, TX among others. Xylor Jane’s work has been reviewed ArtForum, Art in America, the New York Times, and the Brooklyn Rail. Miranda Lichtenstein’s work is included the public collections of the Hirshhorn Museum, Washington, DC, the Solomon R. Guggenheim Museum, New York, and The Henry Art Gallery, Seattle, WA among others. Pam Lins’ work has been included in exhibitions at The Brooklyn Museum, Brooklyn, NY, The Tang Museum, Saratoga Springs, NY and she was a participant in the 2014 Whitney Biennial. She also received a Guggenheim Fellowship in 2008 and the Howard Foundation Fellowship from Brown University in 2007. Sara Magenheimer has screened work and performed at CANADA Gallery, The Berkeley Art Museum, MoMA PS1, The Brooklyn Academy of Music, and Issue Project Room among others. Ulrike Müller’s work was included in The Little Things Could Be Dearer at PS1 in New York (2013, Painting 2.0 at the Museum Brandhorst in Munich (2015), and the forthcoming 2017 Whitney Biennial. Monique Mouton’s work has been reviewed by ArtForum, the New York Times, and Hyperallergic among others. 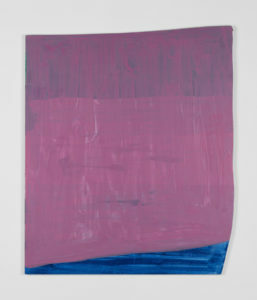 Amy Sillman has received numerous awards and grants, including a Guggenheim Fellowship, the Louise Comfort Tiffany Foundation Award, the Guna S. Mundheim Fellowship in the Visual Arts from the American Academy in Berlin. Her work has been exhibited widely and is included in the collections of The Museum of Modern Art in New York, The Art Institute of Chicago, the Metropolitan Museum of Art, the San Francisco Museum of Modern Art, and the Whitney Museum of American Art among others. 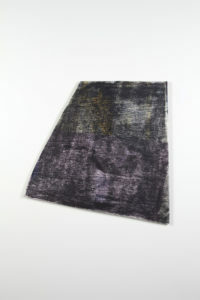 Molly Zuckerman-Hartung’s work is included in the collections of The Walker Art Center, Minneapolis, MN, the Museum of Contemporary Art Chicago, Chicago, IL and the Booth School of Business at the University of Chicago, Chicago, IL and she was a participant in the 2014 Whitney Biennial. 8 3/4" x 5 1/2" x 5"
5" x 5 1/2" x 5"
9" x 8" x 12 3/4"
5 3/4" x 3 1/2" x 3 1/2"
25" x 26" x 1/2"